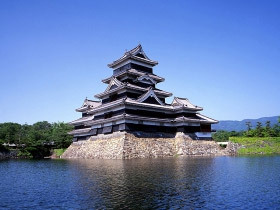 Matsumoto Castle is known throughout Japan as the preeminent historical landmark in the city of Matsumoto. 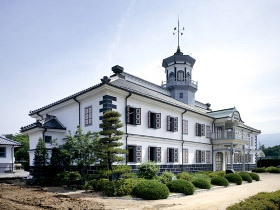 The castle was first built more than 400 years ago, and the five-storied castle keep is one of the oldest still extant. Visitors enjoy an excellent view from inside the keep of the area that was the castle town. 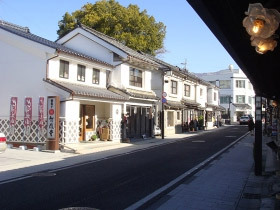 This historical landmark is a fine example of Giyofu (faux-Western style) architecture, which combined the appearance of Western buildings with Japanese building techniques during the era prior to WWII. Designated an important cultural property, it currently houses a museum devoted to Japanese education from the Edo period to modern times. Nawate Street was originally named for a long embankment that wound its way around the castle like a “nawa” or rope. Now, there are more than 50 different stores that line the street, selling everything from traditional confections or old-style toys and tools to antiques. 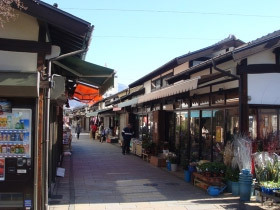 Naka-Machi is a fun place for a stroll. The striking contrast of white walls with black eaves on the traditional storehouses hearken of an earlier age. 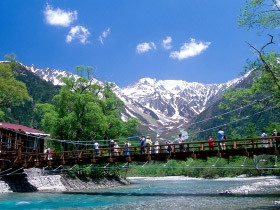 Kamikochi is one of Japanese best-loved resort areas. 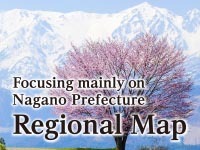 Among its well-know tourist attractions are Kappa Bridge, Taisho Lake and Myojin Lake. Experience for yourself the mystical and spiritual ambience found only among the surrounding 3000-meter class mountains of the Japan Alps. Enjoy the breathtaking 360°panorama of Utsukushigahara Kogen. Whatever the time of the year, you’ll find a unique variety of flora, fauna, and other examples of natural beauty adorning the way on your trek through this area. 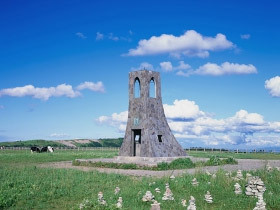 In addition to works by Matsumoto’s own internationally-renowned artist, Yayoi Kusama, there are numerous other examples of artwork inspired by Shinshu and its mountains. 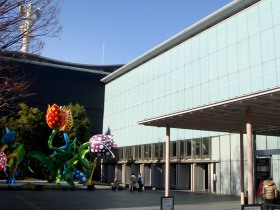 Notable exhibits include a gigantic tulip by Ms. Kusama, which adorns the entrance to the museum. 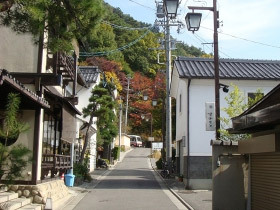 This area has been known for its hot springs since the Nara period in the 8th century. Come join the thousands who have enjoyed the quietly refreshing waters of this spa.